Advance Wars was among my favorite games in my formative years, and is probably single-handedly responsible for turning me into such a junkie for the strategy genre. I find myself revisiting the series once every couple of years, feeling sad that Ninty seems to have shelved it in favor of Fire Emblem. My excitement when I discovered Wargroove, then, was palpable. It looked the part, had all the same mechanics, and boasted online multiplayer and custom maps. I couldn’t wait to get my hands on it! 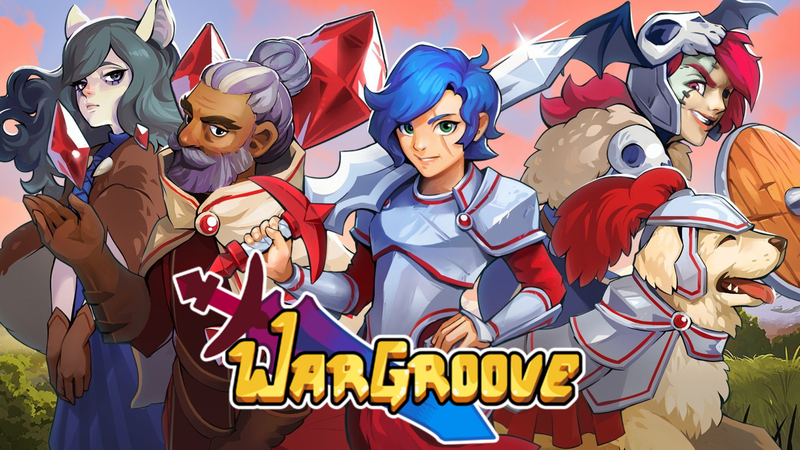 Now that I have, though, is picking up Wargroove worth your hard-earned dollarydoos? 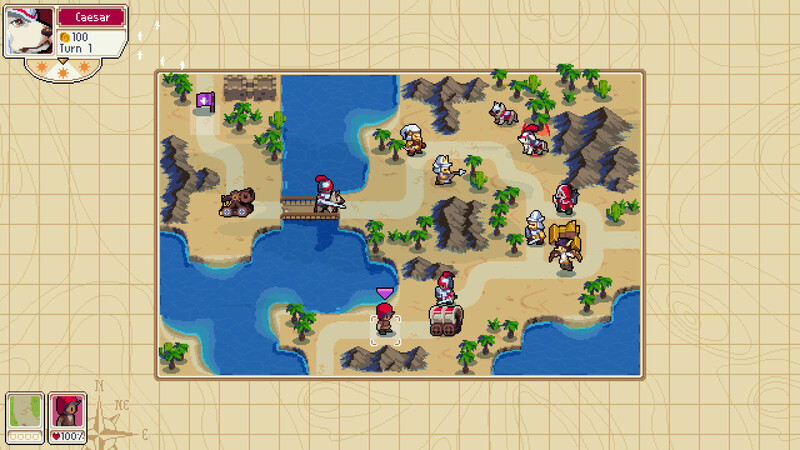 The first thing that caught my attention about Wargroove was the visuals. The sprite style is clean, vibrant, and undeniably charming. All of the units look unique, and some of their attack animations are just downright comical. The commander designs are mostly fun to look at, with one of them literally being a dog, but I can’t help but feel like Tumblr designed all of the female characters in this game. They all look like they were purposely rendered to be ugly. 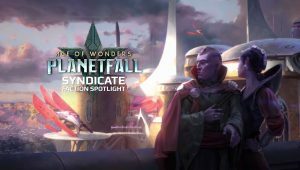 The campaign mode’s story follows four different factions as they duke it out, with your merry little band of misfits picking up more and more characters while you gambol on. The narrative is weak at best, with little quips and the occasional codex entry being about the most interesting things thrown at you. I never felt attached to any characters besides Caesar, the doggo—but perplexingly, the game doesn’t let you choose your Commander on story missions, despite you accruing such a large group of them. 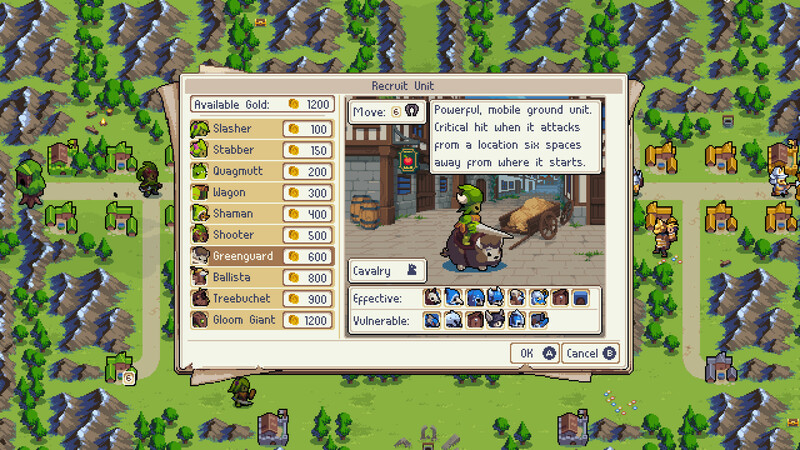 Thankfully, Wargroove has an Arcade Mode that allows you to pick from twelve different commanders, and go through several battles until you achieve victory. This is honestly the most fun I had while playing single player, but it and the Puzzle Mode require you to reach a certain point in the campaign before you unlock them. This is a bit silly, and I’d prefer the developers just let people play the way they want to play. Speaking of Puzzle Mode, it is essentially the same as the core game, but instead of having multiple turns to win the map, you only have one. Units are strategically placed in a way that forces you to think about each move you make. 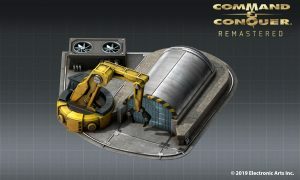 Your ultimate goal is to either destroy the enemy’s base or kill their commander in that one turn. It’s not really my cup of tea, but I’m sure there are people who will enjoy it. 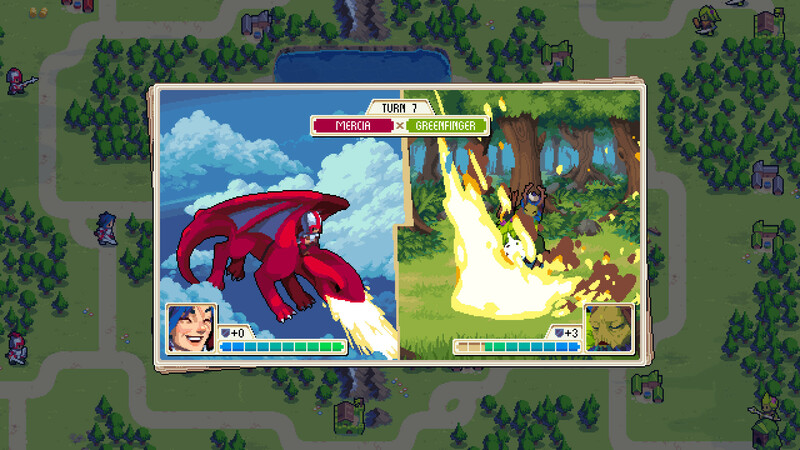 Wargroove plays almost exactly like the Advance Wars games of old, with a few things that set it apart. You’re still making units, taking over enemy bases, and using commander abilities to turn the tide of battle, but the game has more of a fantasy aesthetic instead of modern military. 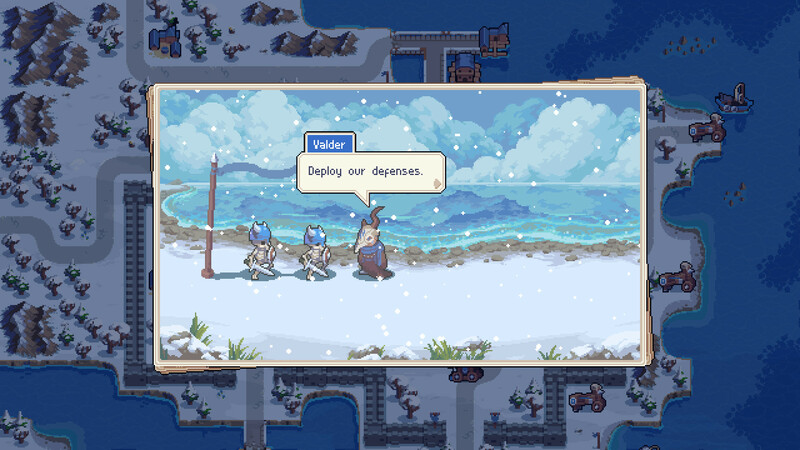 I actually prefer the look of Advance Wars, but I’m not opposed to Chucklefish’s more mystical take on the genre. The units in each faction’s arsenal are different, though they functionally remain the same. Each unit is also pretty fairly balanced, and easily countered by a smart enough player. Sure, knights move quickly and deal a ton of damage, but a much cheaper spearman can take them out with little effort if they get too close. A golem is a nigh-unstoppable force, but if you have a trebuchet or a dragon, you can deal massive damage to them. These rock-paper-scissors battle mechanics can be annoying in some games, but I feel like they’re done extremely well in Wargroove. The commander abilities are where the game really shines, strategically. Caesar can give a rousing war howl, allowing any of his own units within melee range to act again. Sigrid can drain the entire life force of a unit, killing it instantly and healing herself. Ragna can jump several spaces and slam into the ground, dealing a portion of her max HP in damage to all adjacent units. These are only a few examples, but utilizing these skills in the most efficient manner possible can really spell the difference between victory and defeat. 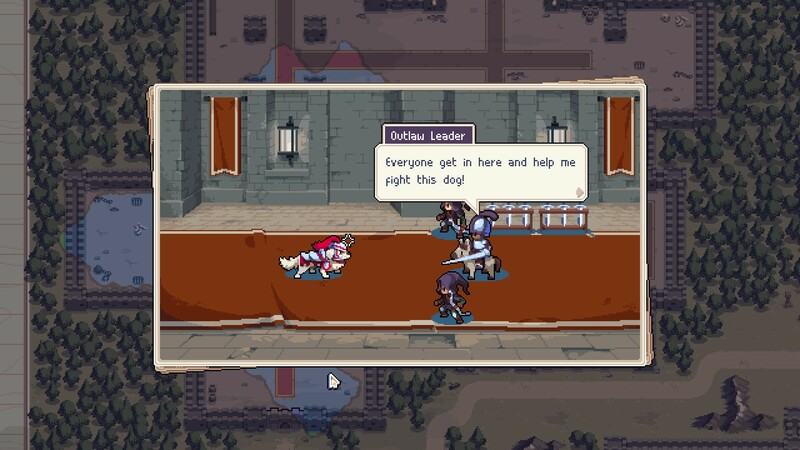 Playing online in Wargroove is easy and fun, as is making and sharing your own maps. The tool for doing the latter is surprisingly robust, and I can see myself spending several hours fiddling with the custom maps and campaigns in the near future. One thing that left me a bit disappointed was the co-op, however. 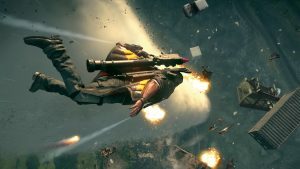 On the game’s promotional material, it claimed there was a co-operative mode you could play with your friends, though I was unable to play co-op with fellow staff Brandon against bots – you can play other players though. This was something I was really looking forward to, but it’s possible they could add this later. The last thing I want to make a point about is Wargroove’s music. 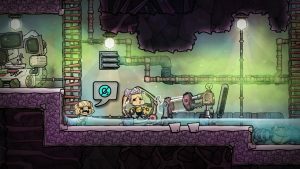 It’s composed by Phonetic Hero, who doesn’t appear to have too many other game projects under their belt. They really knocked this one out of the park though, as I jam to pretty much every track on the soundtrack. The sound design in this game is similarly superb, with satisfying combat sounds, war cries of soldiers, and even comical bone-jangling noises when skeleton warriors are rushing about. 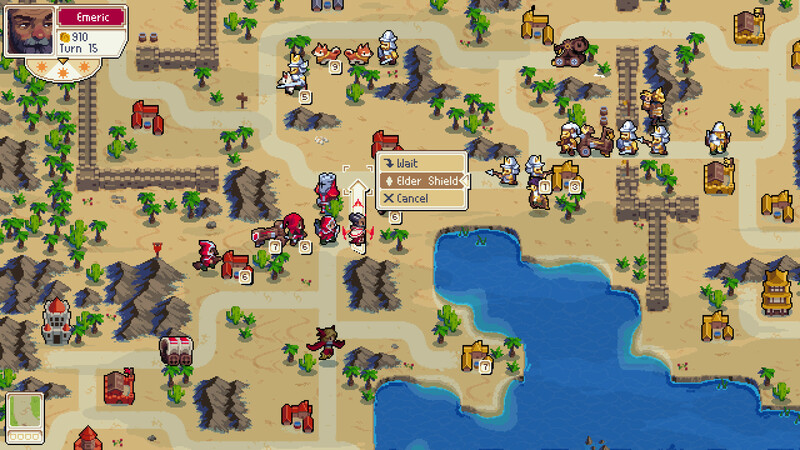 All in all, I think Wargroove is an exemplary successor to Advance Wars, even with the few niggling caveats I had with it. It managed to nail that same formula, while adding a few new things to sweeten the pot, and I couldn’t be happier to have a decade-old itch finally be scratched. If you’re a fan of the old AW games, you owe it to yourself to pick this one up. Even if you’ve never played a game in the franchise, I still recommend this one. It’s a load of fun! 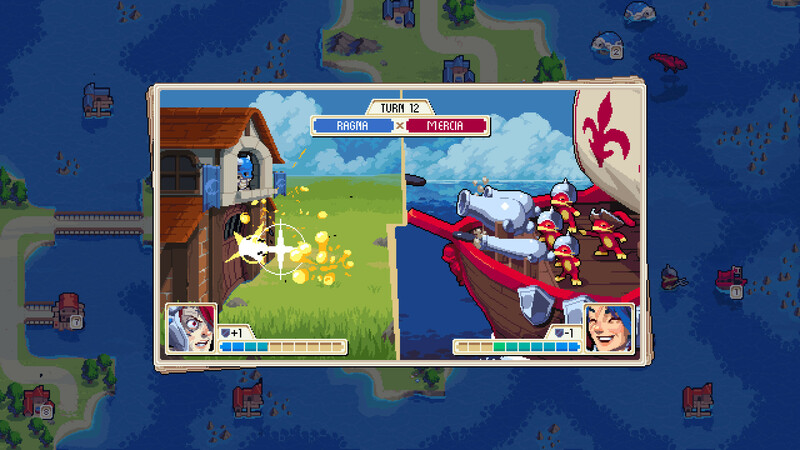 Wargroove was reviewed on Windows PC using a review copy provided by Chucklefish. You can find additional information about Niche Gamer’s reviews/ethics policy here.